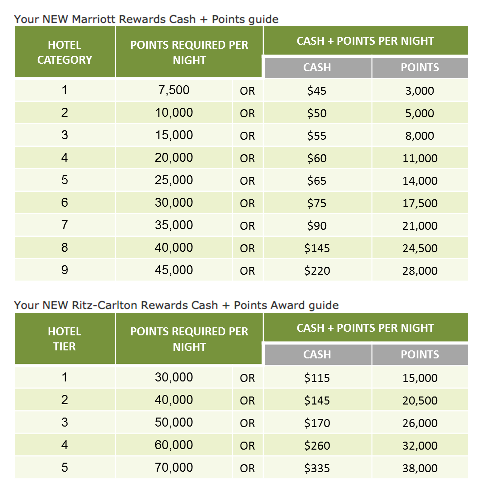 Rewards Canada: Marriott Rewards is enhanced with four new features - and they're all good! What seems to be a very rare occurrence these days, is news of a program making 'enhancements' to a program that really are in fact enhancements! A little over a week ago news starting breaking about some changes to Marriott Rewards and they all looked to be good. Now that some of those changes are live and/or have been posted to the Marriott Rewards site we thought it would be time to let you know about them! Starting Nov. 1, 2015 Marriott Rewards and The Ritz-Carlton Rewards members will earn Elite night credit on redemption nights paid for with points. Not one of these changes is bad! The Points Advance is cool as not many programs let you do this, we could on the fingers on one hand as to those who do. Points Sharing? Again a nice new benefit for family households where there are accounts that don't earn too many points and may be subject to expiration. Pool them all to one account for the best possible rewards! Redemption stay credit? About time! Many of Marriott's competitors already offer this so MR is playing catch up. Same goes for Cash+Points, many competitors have this and as you can see below the numbers are actually very decent! The best way to look the the Cash + Points redemptions is what the cash equivalent of the full amount of points required is. For example, for a Category 7 redemption you are essentially paying $90 for the 14,000 point difference. This means you are paying 0.6 cents (US) per point. 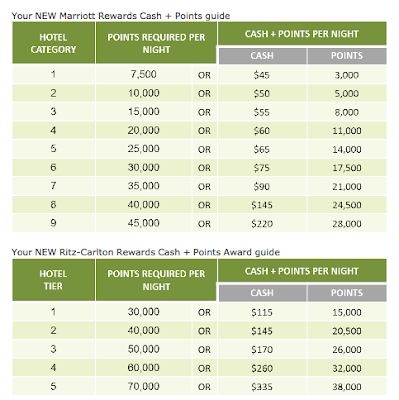 Considering it costs US$12.50 to buy 1,000 points directly from Marriott (1.25 cents per point) you can see that the Cash + Points option is good deal! Of course be sure to look at going rates for paying full cash for a room before doing a Cash + Points redemption as some hotels may be selling off rooms for cheap and your redemption value won't be very good. 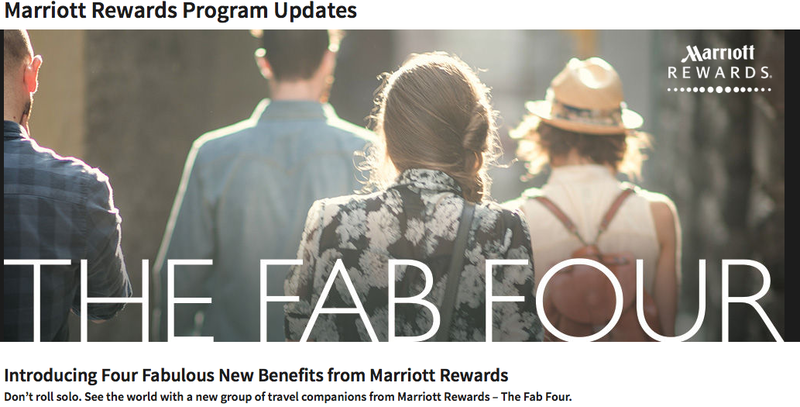 Learn more about all the Marriott Rewards changes here!